Budweiser, one of the world’s most iconic beers is now being brewed in SA at SAB’s Rosslyn Brewery, outside of Pretoria. 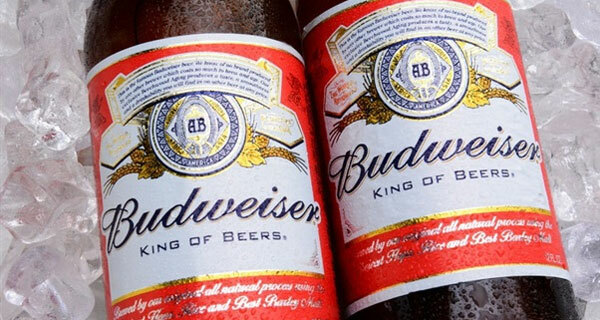 Enter our give-away – six cases of Bud on offer – now! See details below. “We are tremendously excited that South Africans are now able to enjoy this beer. A true global icon, and one of the most valuable beer brands in the world, Budweiser is distributed in 73 countries, including South Africa,” says Alastair Hewitt, brand director for Budweiser at SAB and AB InBev Africa. “Whether it be the energy ignited at a music festival or through the excitement of sporting events, Budweiser champions our dream to bring people together for a better world,” says Hewitt. According to SAB and AB InBev, the arrival of Budweiser in South Africa could not come at a better time, as the brand takes up its 32nd year as the official beer of the 2018 FIFA World Cup. “As a company, our dream is to bring people together for a better world. Therefore, there is no other event on the planet that brings this many people together and unites them around a shared passion,” says Hewitt. AB InBev unveiled its new global campaign, ‘Light Up the FIFA World Cup’, which aims to encapsulate the energy of the sporting event and Budweiser’s passion for energising audiences as they watch and celebrate their favourite players, moments and teams throughout the tournament. AB InBev launched its global brands Stella Artois and Corona in South Africa in January 2017. Despite an economic slowdown in most countries including South Africa and Nigeria, Africa’s thirst for beer shows no signs of being sated. Analysts estimate the market will grow on average by 5 percent until 2020, faster than Asia’s projected 3 percent. AB Inbev is offering SIX giveaway cases to celebrate Bud’s arrival in SA, as well as World Cup 2018! Send your name, delivery address to info@foodstuffsa.co.za, AND include at least one reason why you rate/value FOOD-DRINKStuff SA, the websites and/or our newsletter. AND include the name of a friend or colleague who would value receiving our newsletter and who doesn’t currently get it. Entries close 15 July 2018. Winners will be notified by email, and the beer delivered to them.